Description: Paper Accents Chipboard, use for card making and rubber stamp projects, to make your own albums and frames, or cut out unique shapes for scrapbooking and other projects. This chipboard is lignin-free, buffered, acid-free and archival quality. 100% Recycled paper. Extra Heavy, 52 point. 8 1/2 x 11 inch. Natural. 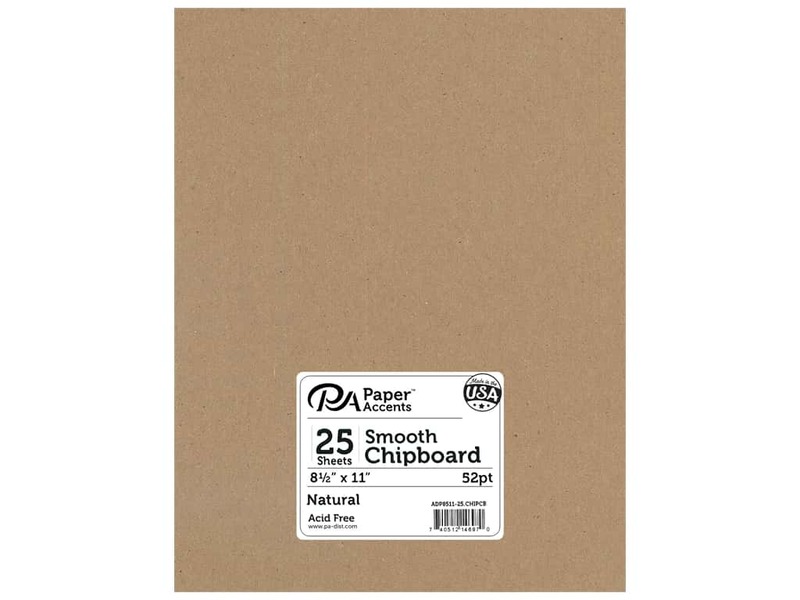 Paper Accents Chipboard Extra Heavy 8.5"x 11" Nat (25 sheets) 5.00 out of 5 based on 7 ratings. 7 user reviews. Great for mini album covers!